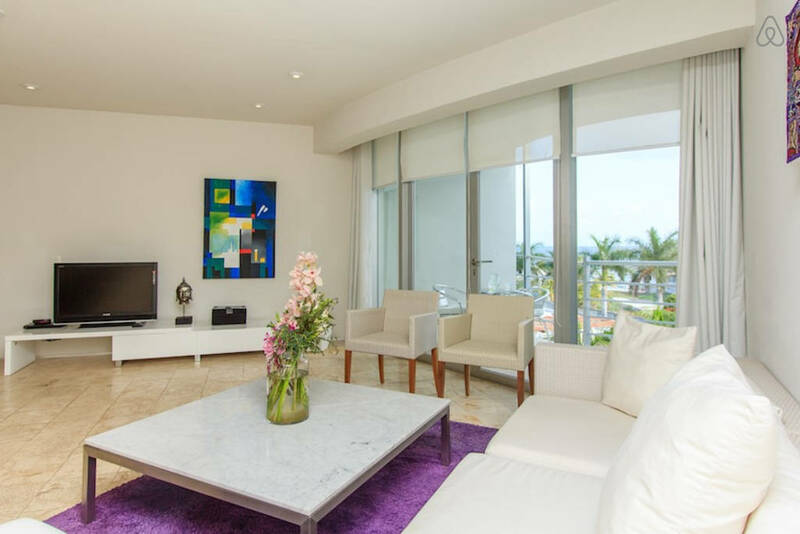 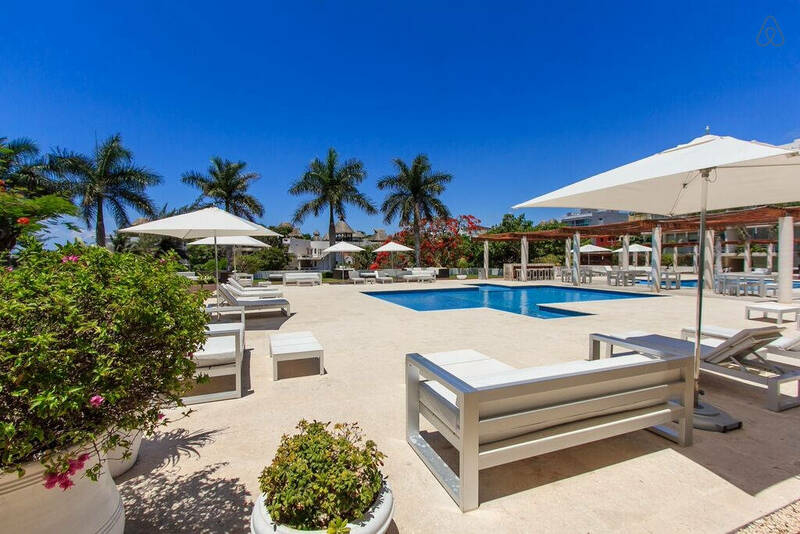 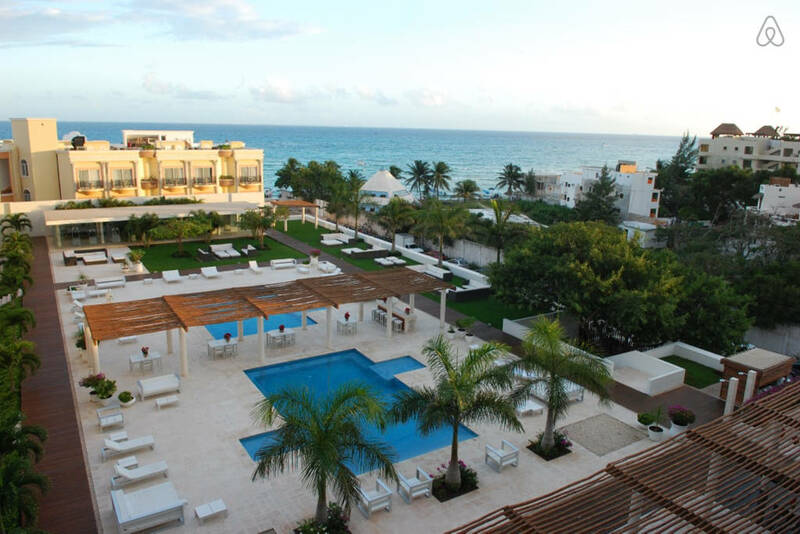 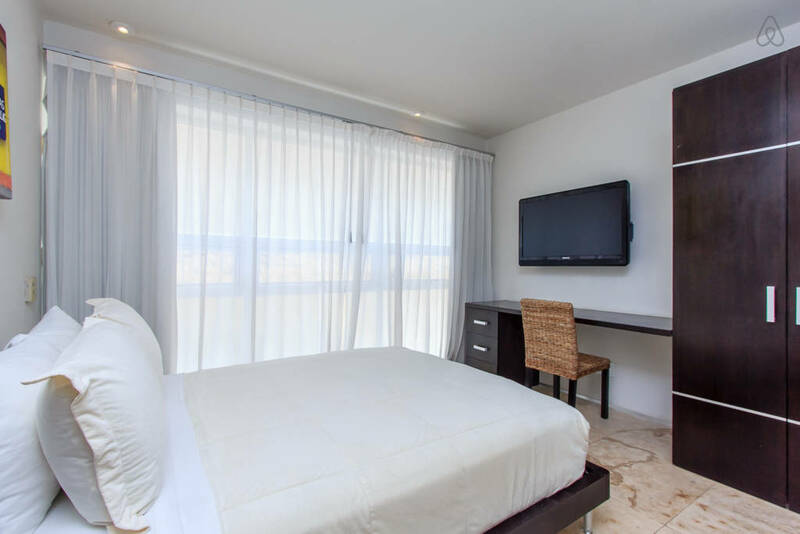 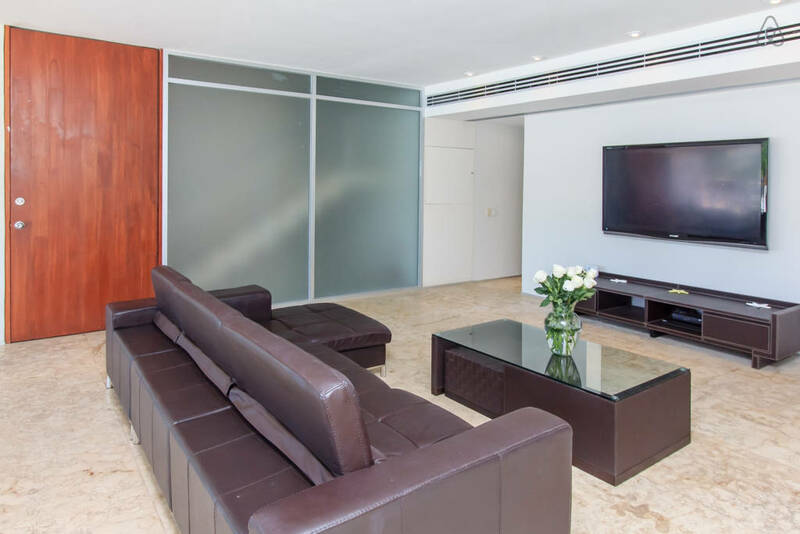 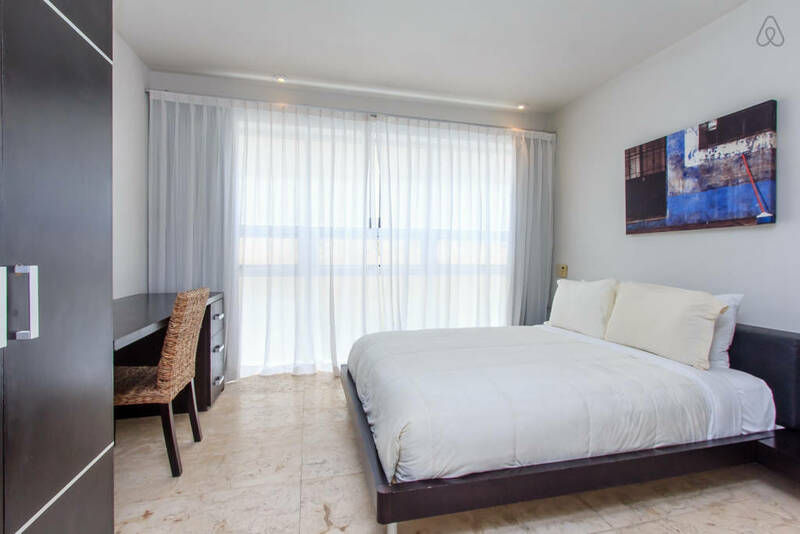 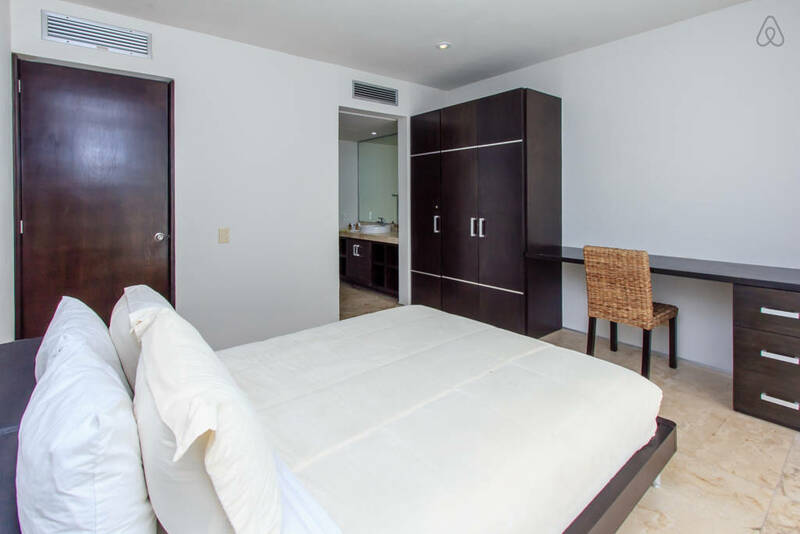 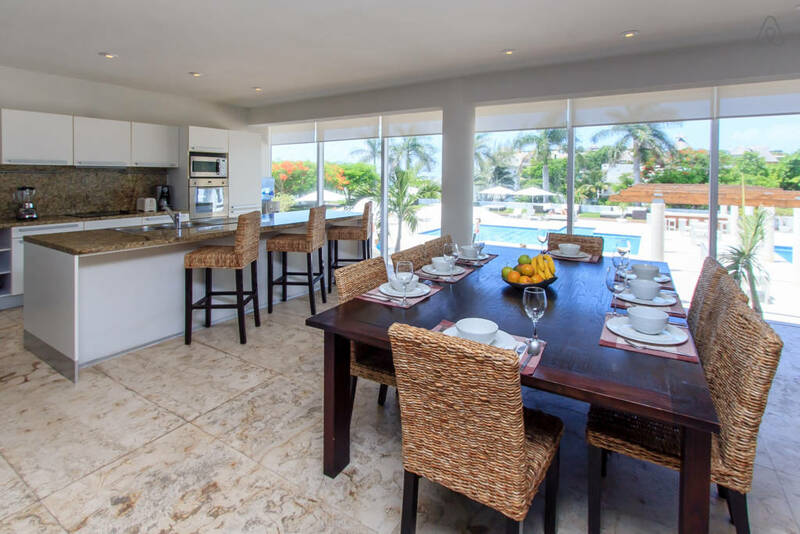 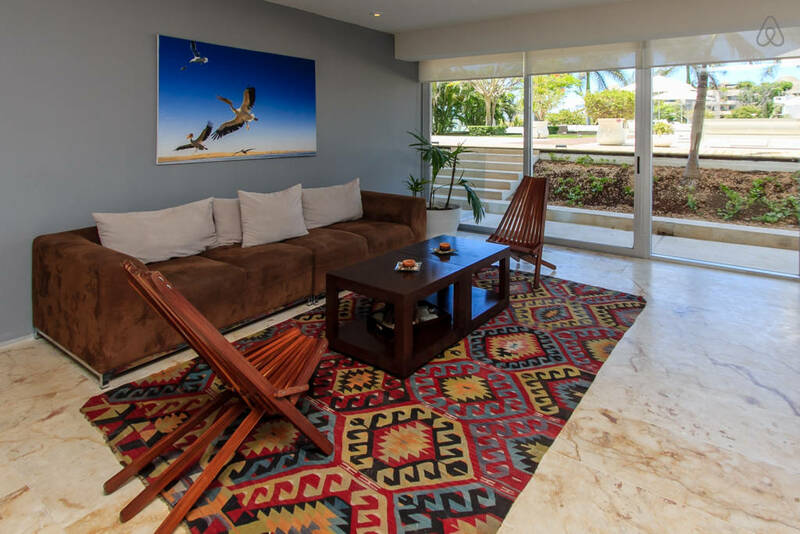 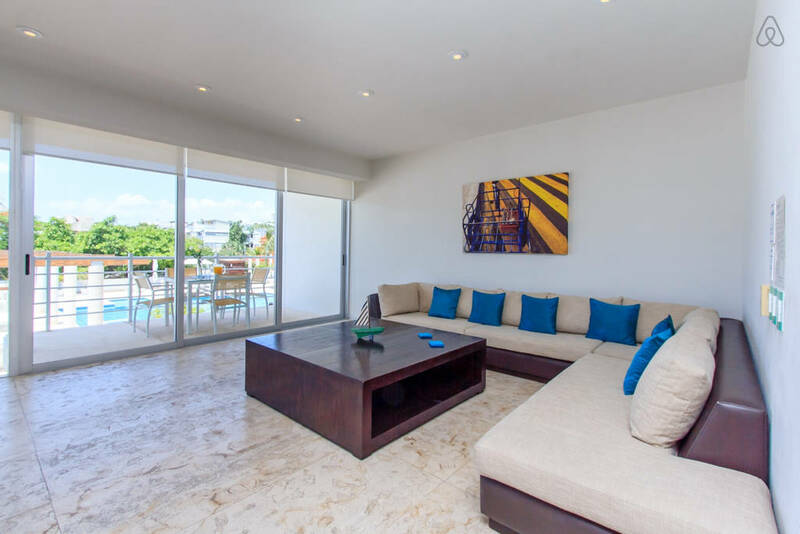 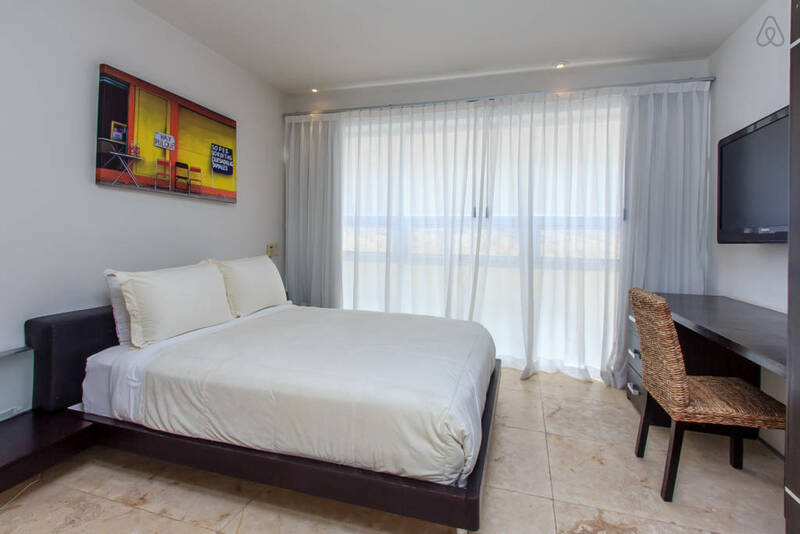 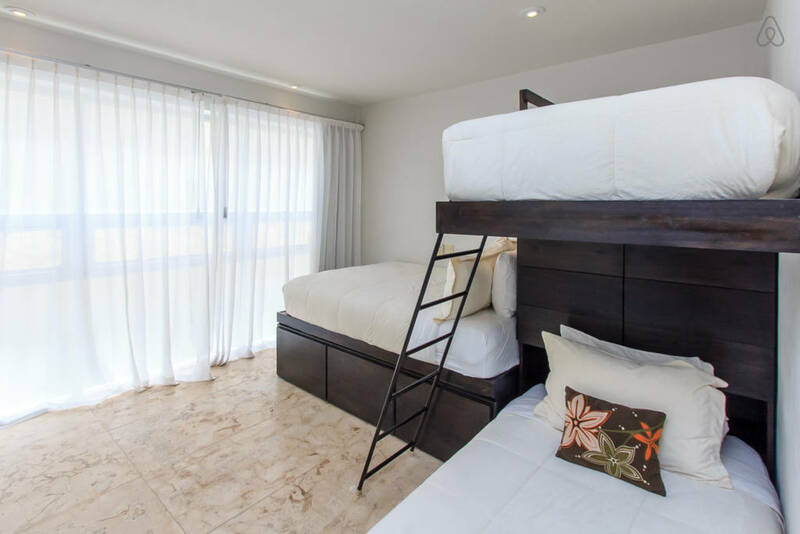 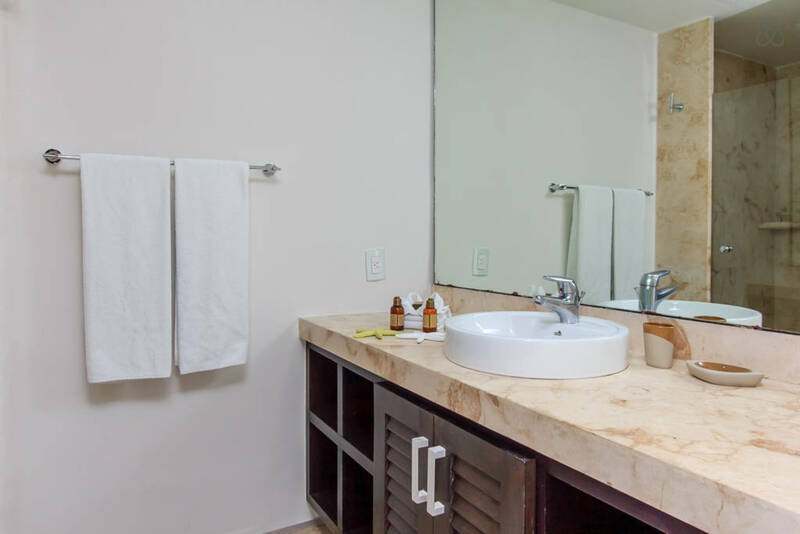 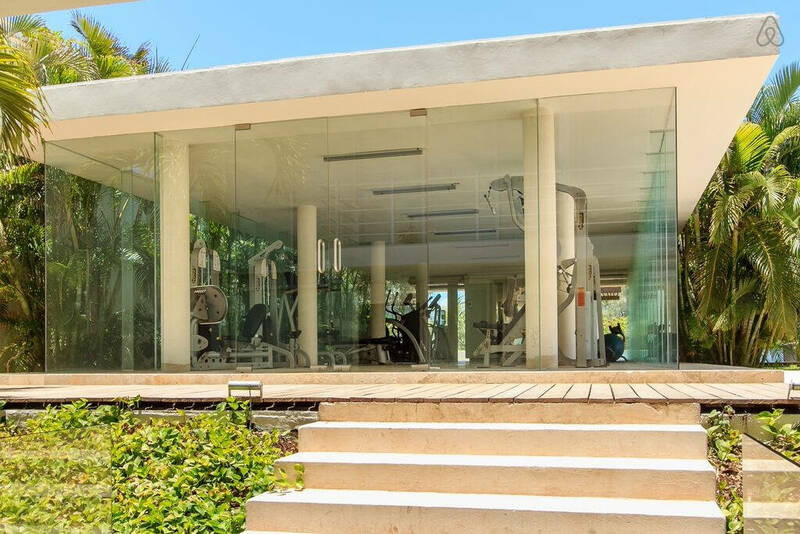 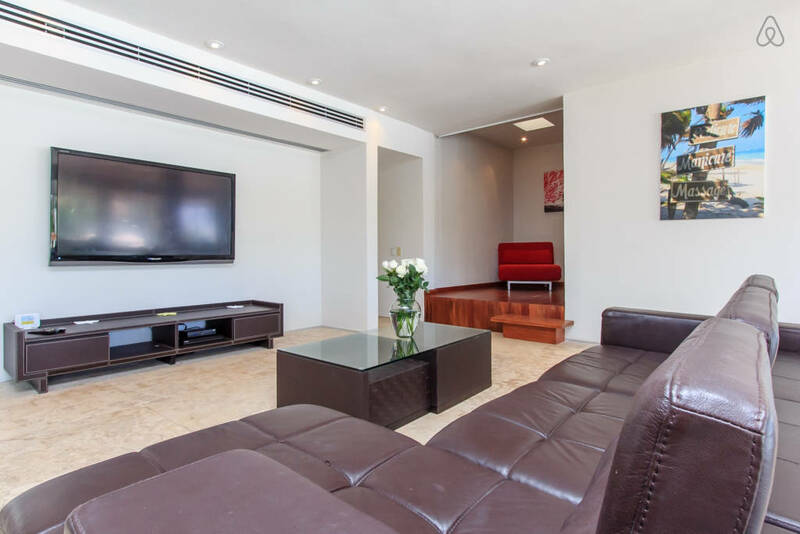 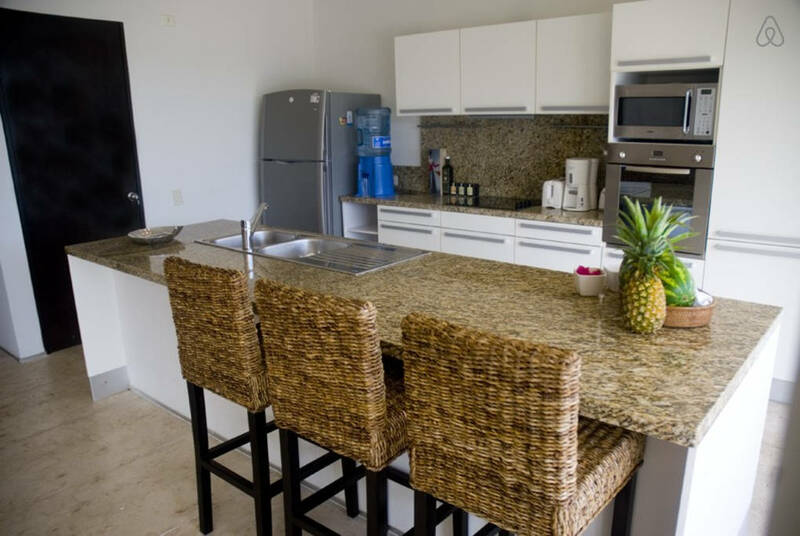 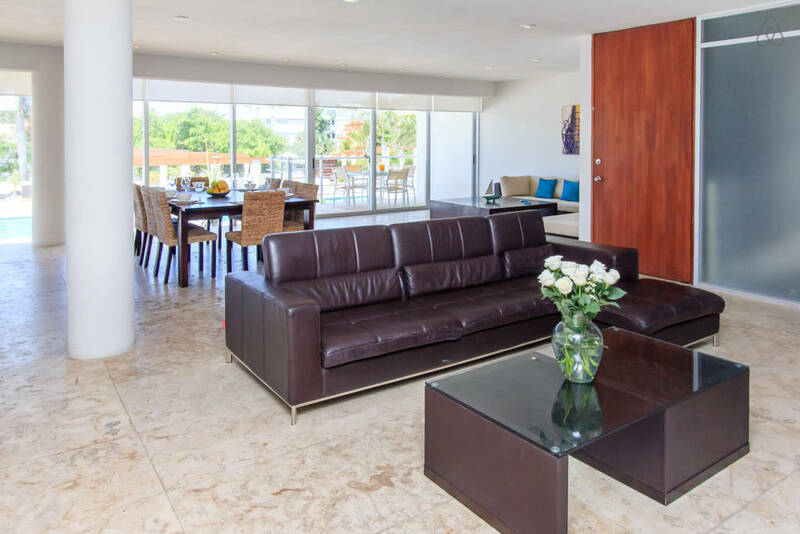 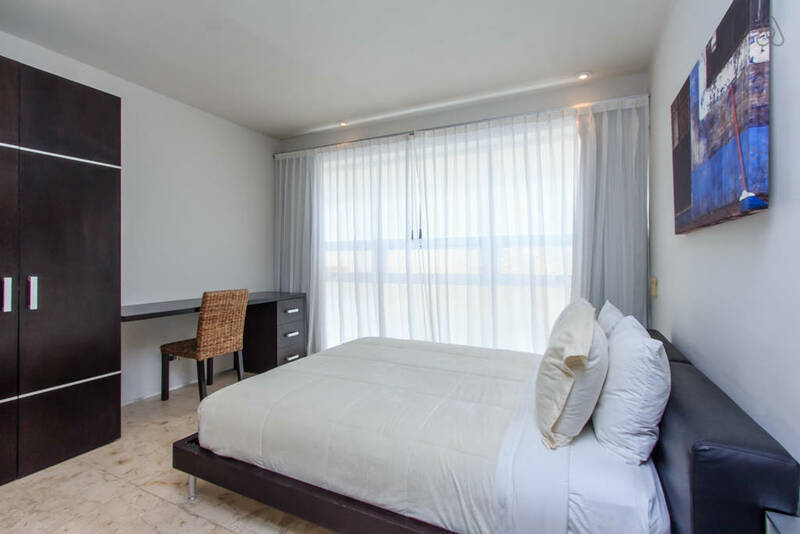 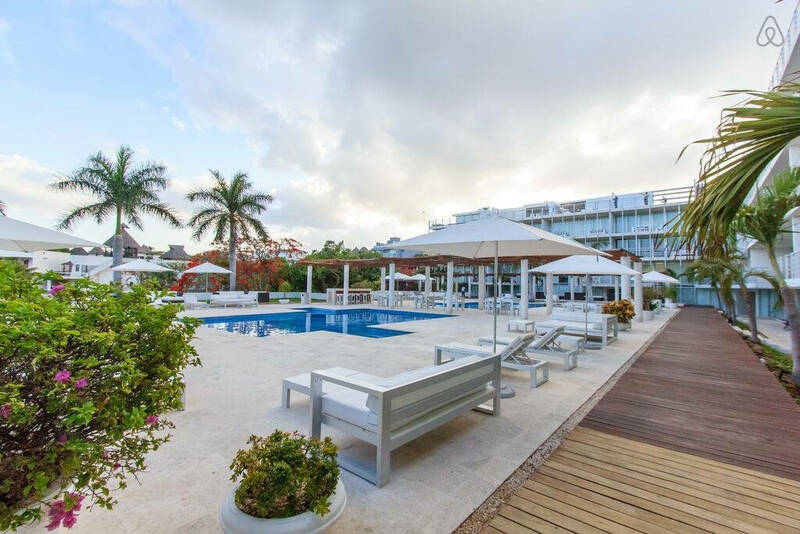 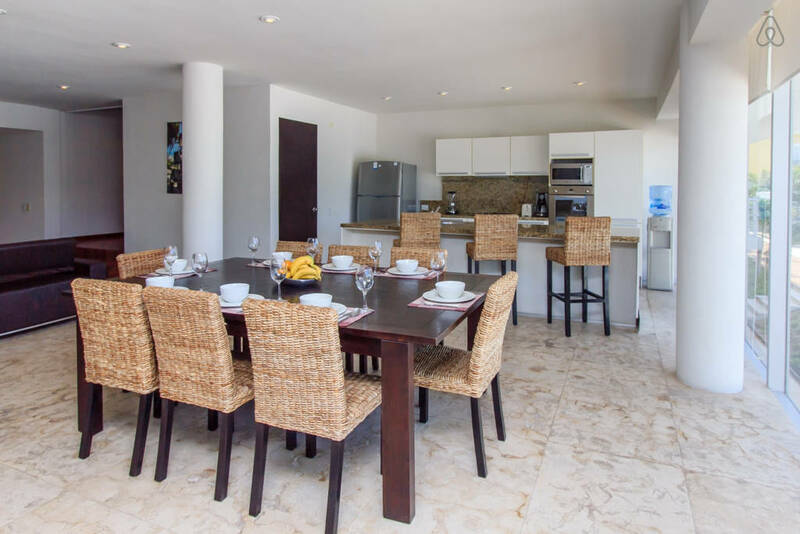 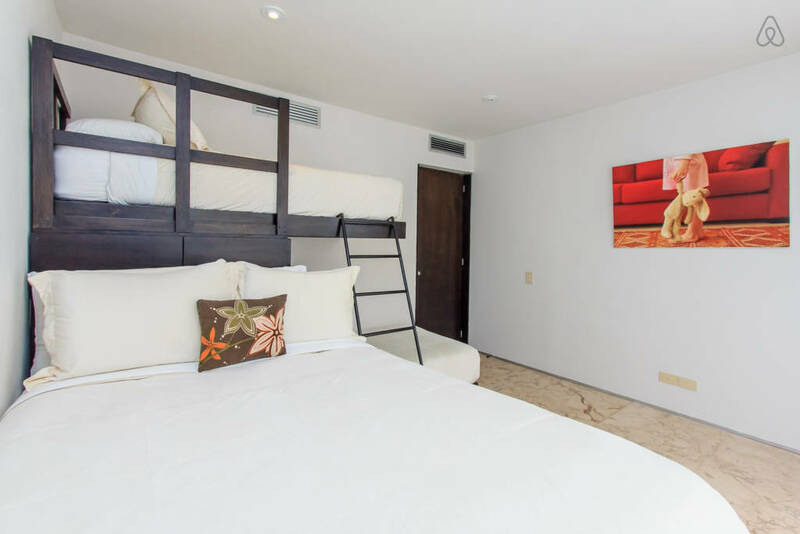 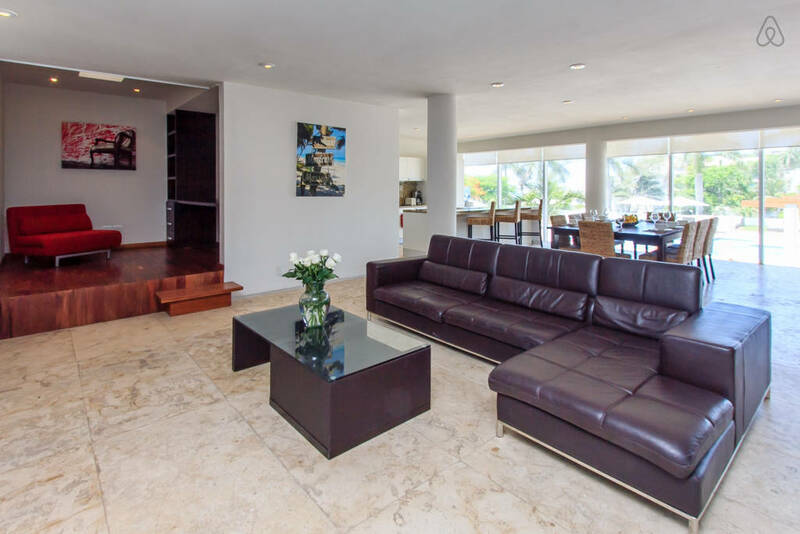 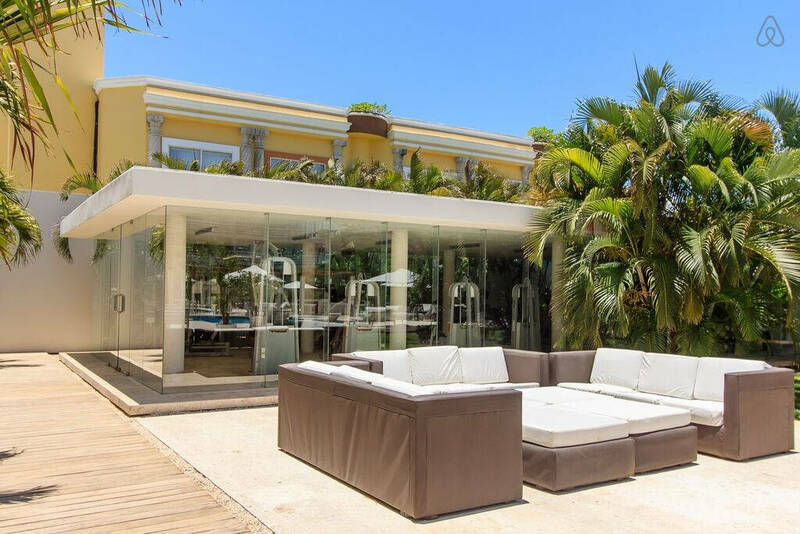 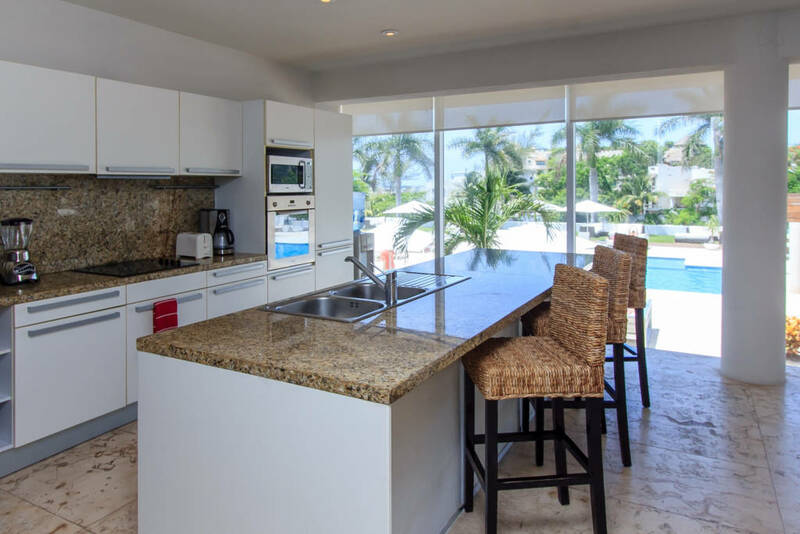 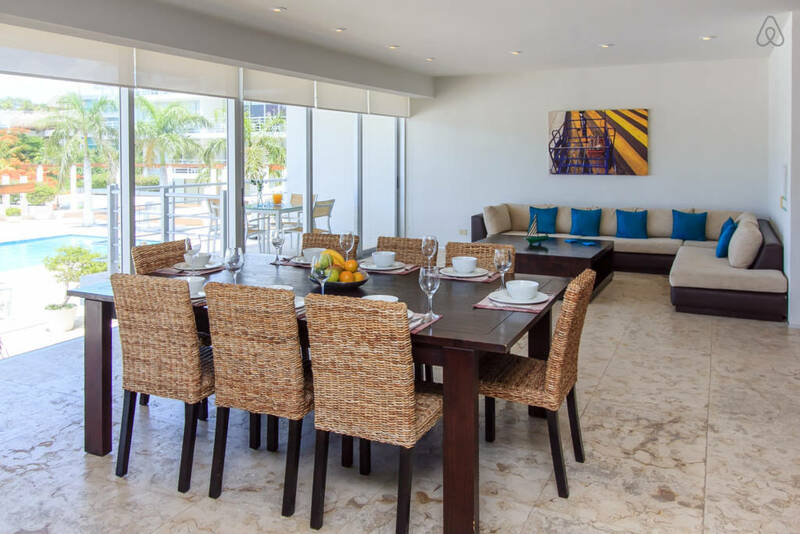 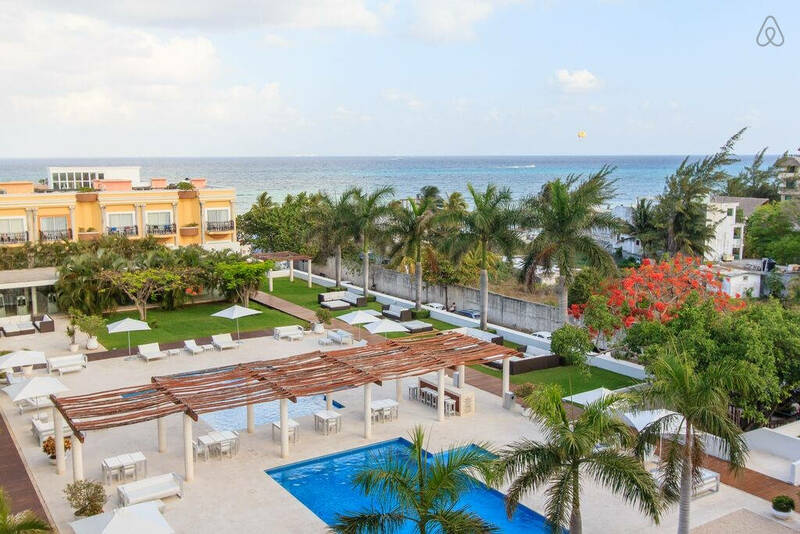 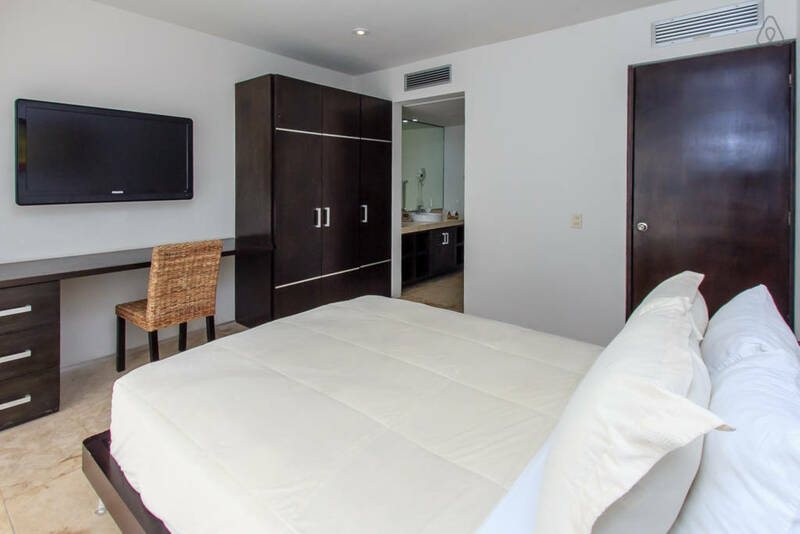 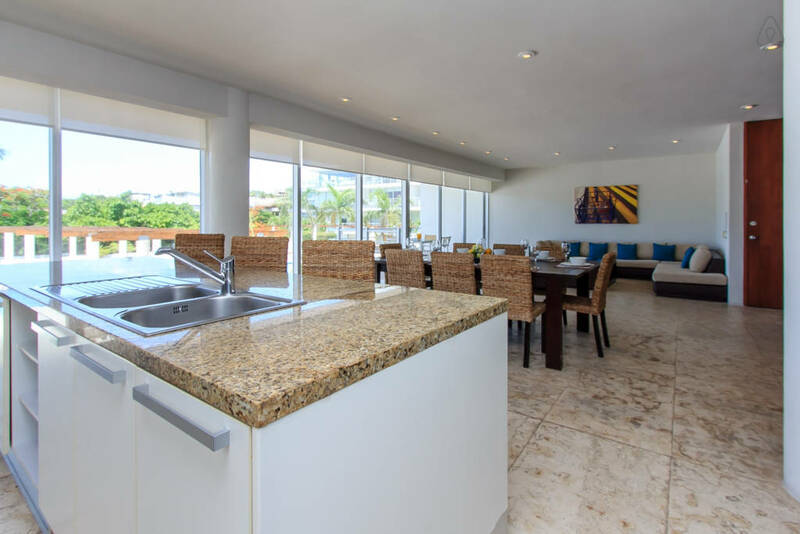 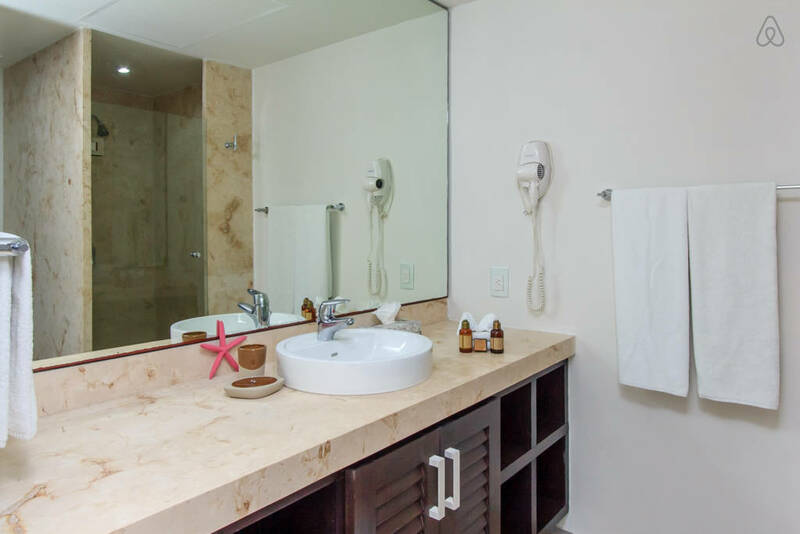 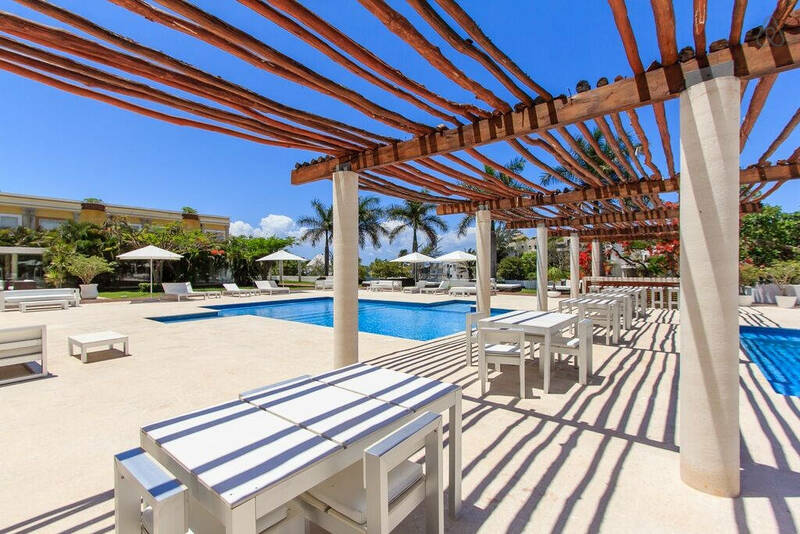 The Magia Complex offers everything you are looking for in Playa del Carmen vacation rentals: 2 swimming pools, lounge areas, beautiful views of the ocean, a gym, 24 hour security and underground parking. 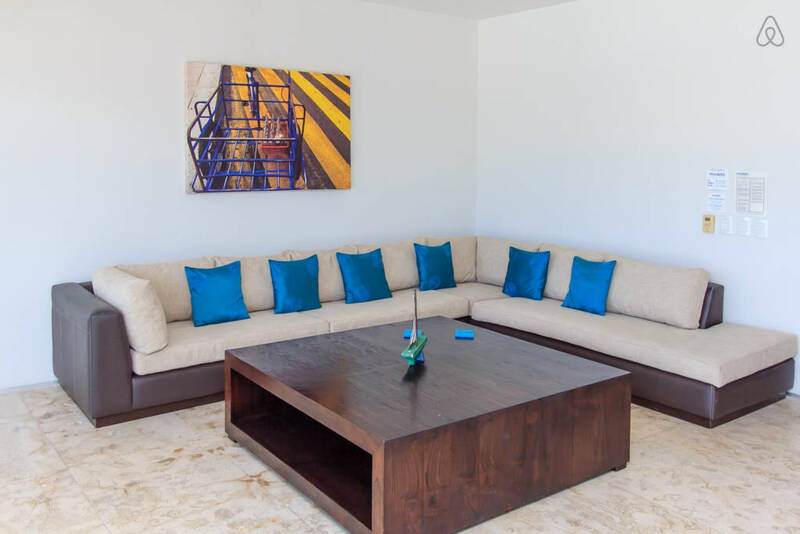 Located on the first floor of Magia building, with elevator access, this spacious 3 bedroom offers vacation rentals in Playa del Carmen featuring a spacious huge living room, a dining area with seating for 8, a fully equipped kitchen with bar and additional seating, and a family room with comfy sofas and satellite TV. 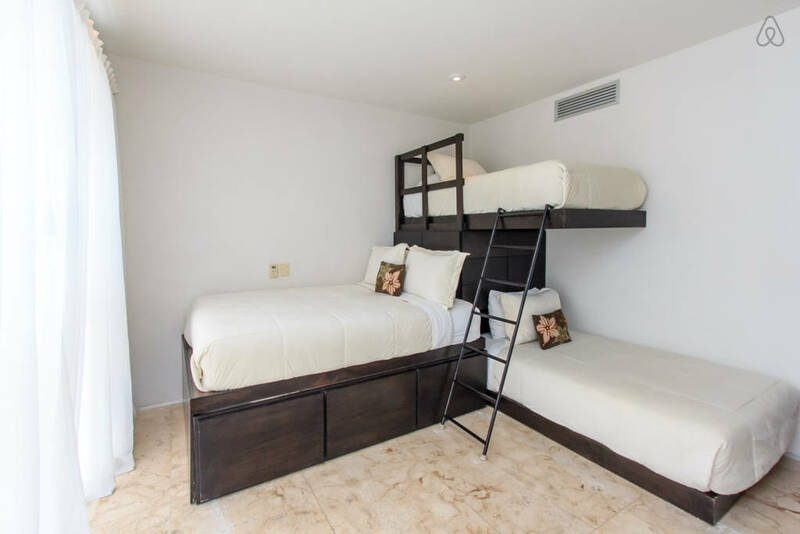 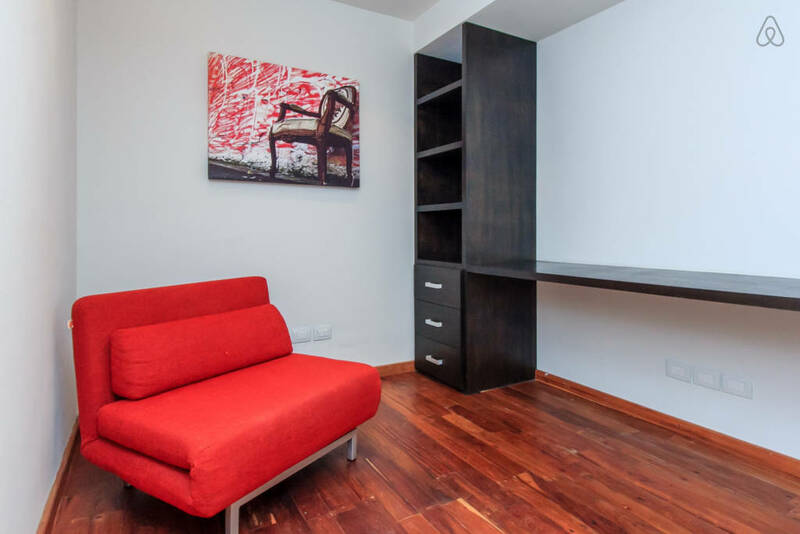 The first bedroom of this condo has a queen size bed, closet, small desk and en—suite bathroom with shower, the second bedroom, perfect for kids, has a bunk bed, a twin bed and an additional pull out bed, and the 3rd bedroom has a queen size bed with desk, closet and en-suite bathroom.